The season 6 of Game Of Thrones will start few months later but everyone is excited before it. The five seasons of Game Of Thrones were mind-blowing, exciting and jaw dropping. We saw love, hate and betrayal. And these all things make Game Of Thrones a great TV series. 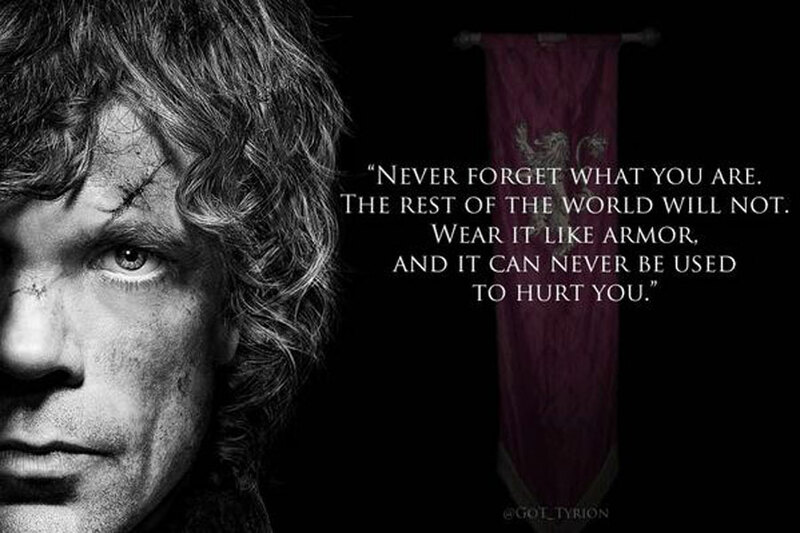 But the thing which makes it one of the great is the quotes by the characters in Game of Thrones. Writer George RR Martin has done a great job in writing those Quotes. These quotes make the character, from Tyrion Lannister to Hodor everyone has some iconic quotes. So before the TV series starts, here are 10 Quotes from Game of Thrones that will make you re-watch the series. Power resides where men believe it resides. It’s a trick, a shadow on the wall, and a very small man can cast a very large shadow.